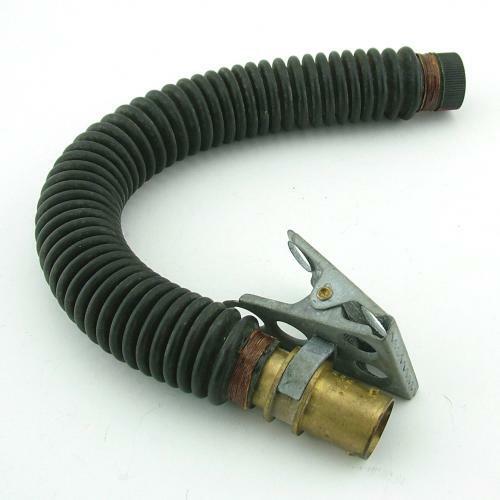 Standard wartime pattern corrugated rubber oxygen tube complete with screw-threaded top connector for attaching to a G-type or H-type mask. Fitted with a brass Air Ministry MK.IV (6D/526) bayonet connector complete with cadmium plated crocodile clothing clip at the bottom of the tube. The hose is in excellent used condition with no evident cracking or deterioration. 'Twine bound' connectors. Excellent used condition. Stock code O21288.